Could EasyJet Go Long Haul With It’s New A321neo Aircraft? 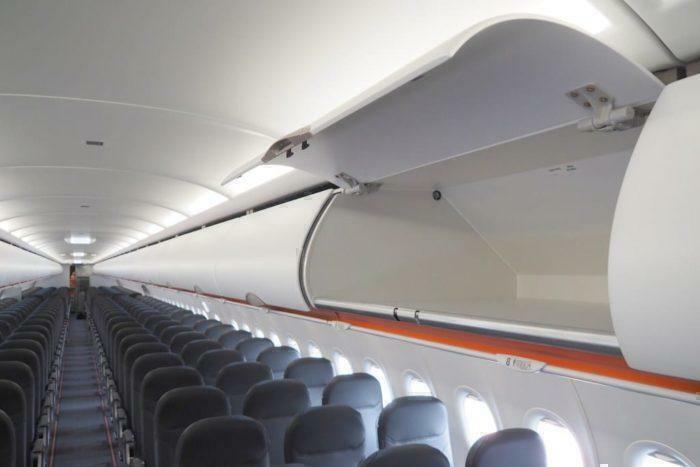 UK airline, EasyJet has begun taking delivery of its order of Airbus A321neos. The Neo will become the largest capacity aircraft the operation own, but so much more. While the company are keen not to give too much away, the signs are there. The Neo is a long haul plane. Let’s take a closer look. CEO Johan Lundgren formally announced the delivery of easyJet’s first A321neo aircraft by landing one at the Farnborough International Airshow. The all-female crew made the surprise announcement, one which raised eyebrows all round. This is because, without saying it, EasyJet has admitted its long haul easy jet flights aspirations. The A321neo is a stylish liner with a lot of great benefits. Firstly, the aircraft will increase capacity in slot-constrained airports. Each A321neo will offer an increase in seats of around 30% per flight compared to the A320. 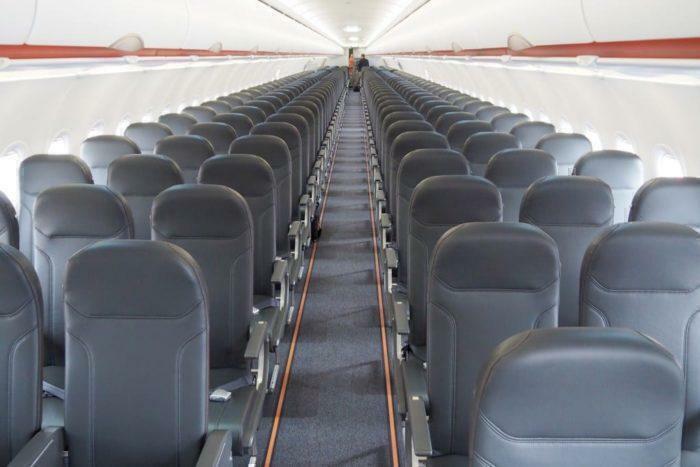 It offers 50% more seats compared to the A319. The aircraft also uses considerable less fuel. This equals cost and footprint savings. The A321neo produces between 16 and 21 percent less CO2 per passenger kilometre compared to easyJet’s other planes. But what everyone is really talking about is easyJet flights to the US. 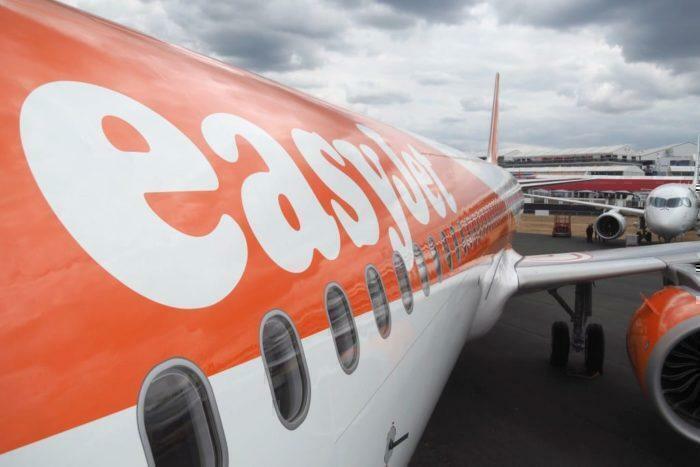 Long haul EasyJet flights coming soon! The dream of Easyjet long haul has been floating around for several years. It started with splash headings and ended with a code-sharing flight with Norwegian Airlines. But with the A321neos landing for the company, this time we’re sure, they’ll be flying solo. At 44.51 meters long with a cabin length of 34.44 meters, the A321neo looks like a regular Airbus. But with a range of over 7,400 km, it can go just that bit further. London to New York, at 3,500 km, is easily within reach. And this is an incredible leap of good planning for EasyJet. When you consider that the London Heathrow to JFK flight is British Airways most profitable, it’s easy to see why they’d want to throw their hat into the ring. The next most obvious destination would be the UK airports to Florida. 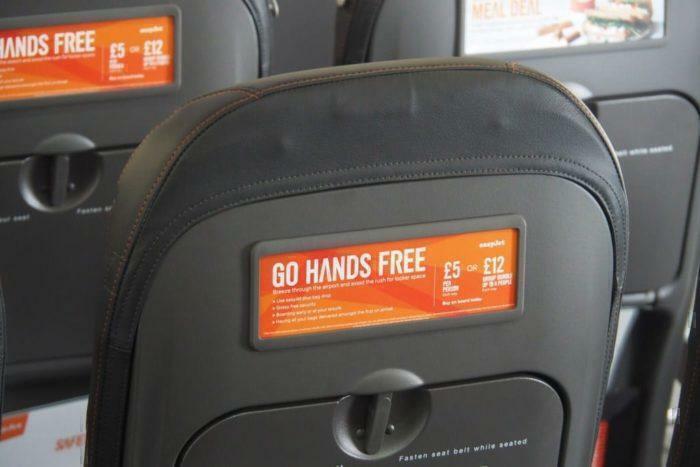 There will still be some smirking behind hands at those disembarking easyjet (presumably) at Newark. It’s EasyJet after all. Even the pilots avoid the colour orange when they’re on land. But according to those at the show, this snobbery is badly placed. Simply put, the inside of the new Neo is nice. The narrow-body plane is cleanly outfitted. Apparently, the livery is yet to come, but we assume it’ll be toned down for long-haul. Basically, it does everything and has the sense of space missing in your usual EasyJet. I’ll admit, when you are crossing the Atlantic, it does feel better to have a big machine. This sense of space reduces claustrophobia. However, after 6 hours on board, everyone not in First is restless to land. And there are certainly worse ways to get to New York than on EasyJet’s first A321neo jet. So we’re hoping the speculations are true and easyJet is about to announce its own non-code-sharing offer to far off shores. Because the A321neo can go there. So why shouldn’t it? Hoping to see EasyJet flights to the East Coast soon. In your article you wrote London to NY is 3,500 km. I think you forgot to convert, as the trip is about 3,500 mi (5,500 km)!